LightCounting has released its June 2018 Quarterly Market Update Report. Amongst the key findings, the specialist market research company cites ZTE as ‘an early casualty of the unfolding trade war’ and warns that some sales will be impacted in Q2 of 2018. The Quarterly Market Update provides data and commentary on the Q1 2018 financial results of CSPs, ICPs, hardware, optical components and semiconductor chip makers, as well as detailed estimates for more than 100 optical transceiver products sold in Q1 and Q2 2018, based on interviews with suppliers and quarterly data for 2016-2017, obtained via LightCounting’s proprietary vendor shipment survey. ZTE was denied access to all U.S.-made products and technologies in April 2018 (see U.S. banned from selling to ZTE after activation of export denial). At the time of the report going to press, the denial order remains in force and LightCounting described the situation as ‘worrisome for all companies’ in the optical networking industry, while ZTE and its suppliers are taking a direct hit in Q2 2018 (see ZTE ceases major operating activities following export sanctions). LightCounting estimates that sales of DWDM, FTTx, and wireless fronthaul transceivers will decline by 20-30 per cent in Q2 2018, and the total transceiver market will be down by 8 per cent, sustained by growth in sales of 100GbE optics. This decline will come after a weaker than expected second half of 2017 and a seasonally slow first quarter of 2018, potentially taking the market down to $1.2 billion in Q2 2018 – the lowest level since 2015. If ZTE re-opens for business in the next few weeks, said the report, we may see some recovery in sales of optics by Q3 2018, but the negative impact of the ZTE ban will have longer term consequences for the industry, with many of their international customers being hesitant to place orders with any Chinese supplier. LightCounting also predicts that ‘anti-American sentiment’ could make it more troublesome for U.S. companies to do business abroad. While this means European suppliers such as ADVA, Coriant, and Nokia might win more orders in Europe, these companies also do business and have operations in the U.S.A. and countries that do not have domestic suppliers may encourage the creation of such businesses, although it could take several years for these new companies to emerge. The update warns that erecting trade barriers will hurt this industry and slow down economic development but says it is ‘not all doom and gloom’ as the top 15 cloud companies increased infrastructure investments in Q1 2018 by 102 per cent in comparison to the same period in 2017. Optics suppliers, II-VI Photonics, Accelink and Innolight reported record quarterly sales in Q1 2018, according to the update, whilst Innolight benefited from continuing demand for 100GbE optics. LightCounting estimates that more than 1 million 100GbE QSFP28 transceivers were shipped in the first three months of 2018. 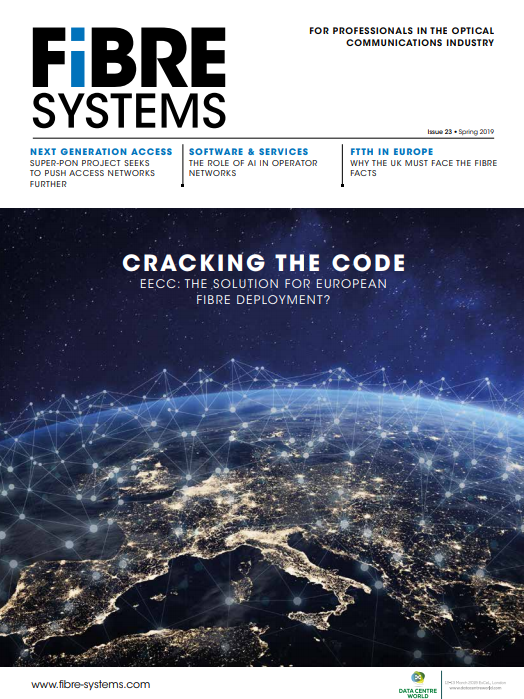 Finisar and Lumentum are reporting strong demand for WSS modules for deployments of ROADMs in China and India and Oclaro set a new record in shipments of 100/200G DWDM CFP2 ACO transponders in Q1 2018. Meanwhile, Nokia reported a 34 per cent growth in sales of optical networking equipment in the first quarter of 2018, compared with 2017 and, prior to the ban, ZTE reported 23 per cent growth over the same period. LightCounting’s March 2018 Quarterly Market Update found that 2017 was a record year for revenues in the optical components industry (see 2017 a ‘record year’ for optical components revenues, cause for optimism in 2018, says LightCounting).